“Woman in Gold” (2015). Cast: Helen Mirren, Ryan Reynolds, Daniel Brühl, Katie Holmes, Tatiana Maslany, Max Irons, Charles Dance, Antje Traue, Elizabeth McGovern, Jonathan Pryce, Frances Fisher, Moritz Bleibtreu, Tom Schilling, Allan Corduner, Henry Goodman, Nina Kunzendorf, Alma Hasun, Nellie Schilling, Milica Bogojevic, Justus Von Dohnányi, Olivia Silhavy, Ben Miles, Ludger Pistor. Director: Simon Curtis. Screenplay: Alexi Kaye Campbell. Story: The life stories of E. Randol Schoenberg and Maria Altmann. Web site. Trailer. At the age of 81, many of us might be content to settle in and get comfortable for the remaining days of our lives. But not Maria Altmann (Helen Mirren). Despite her advancing age, she embarked on one of the most arduous, yet satisfying, undertakings of her life. 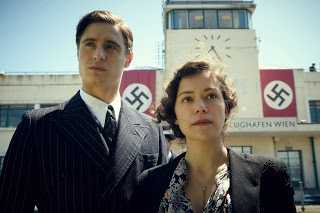 As a Jewish refugee who fled her native Vienna at the time of the Nazi annexation of Austria – the Anschluss – in 1938, a youthful Maria (Tatiana Maslany) made a harrowing escape to America with her husband, Fritz (Max Irons). In doing so, however, she left behind everything, including most of her family and virtually all of her belongings. And, not long after fleeing, the family’s possessions were looted by the invading Germans, who confiscated a wealth of jewelry, artwork and other items of value. Chief among the stolen items was a portrait of Maria’s Aunt Adele (Antje Traue) by famed Austrian symbolist painter Gustav Klimt (Moritz Bleibtreu). Even though German Chancellor Adolf Hitler was not a fan of Klimt’s work, his Nazi minions nevertheless saw the value of the painting and readily added it to their stockpile of plundered artworks. Of course, given Adele’s Jewish heritage, the Nazis deemed a name change necessary for the painting, so what was originally titled Portrait of Adele Bloch-Bauer I became Woman in Gold. However, once World War II ended, the painting – like so many others that were stolen – was not returned to its rightful owners. Instead, it remained in the hands of Austrian authorities, becoming one of the prized items in the collection of Vienna’s famed Belvedere Gallery. The portrait eventually came to be known as “the Mona Lisa of Austria,” and, because of that, Austrian authorities were not about to part with it, even in the wake of a legally sanctioned art restitution program launched in the late 1990s to make amends for past misdeeds. Despite the resistance of Austrian authorities, Maria refused to be deterred. After a brief conversation with longtime family friend Barbara Schoenberg (Frances Fisher), Maria contacted Barbara’s son Randy (Ryan Reynolds), a lawyer struggling to put his career back together after a failed attempt at launching his own practice, to see if he could help her. Although initially reluctant to become involved in Maria’s case, Randy had a change of heart when he learned that the painting had an estimated value in excess of $100 million. But, all financial considerations aside, there was another reason behind Randy’s decision to pursue the matter: As the grandson of Austrian composer Arnold Schoenberg, who also fled his homeland during the rise of the Third Reich, Randy had a personal stake in this crusade. Before long, the unlikely duo set off on a quest to retrieve the lost portrait – and to seek justice. Jewish refugee Maria Altmann (Helen Mirren, left) and struggling attorney Randy Schoenberg (Ryan Reynolds, right) make for an unlikely duo in taking on the Austrian government over a controversial art restitution issue in director Simon Curtis’s engaging new drama, “Woman in Gold.” Photo courtesy of The Weinstein Company. At the outset, the deck seemed heavily stacked against Maria and Randy. But, even with the odds against them, they soon found themselves in the company of helpful allies, most notably investigative journalist Hubertus Czernin (Daniel Brühl), whose intrepid reporting exposed the Nazi past of former Austrian President Kurt Waldheim and inspired passage of the country’s art restitution law. As a concerned citizen committed to seeing Austria’s history of fascist complicity exposed, Hubertus helped Maria and Randy cut through the bureaucratic red tape to formulate a strategy for taking on their opponents. Their solution was, to say the least, unique, one that would eventually land them before the U.S. Supreme Court and Chief Justice William Rehnquist (Jonathan Pryce). And their efforts ultimately set the worlds of art and international diplomacy on their ear. So much for underestimating the underdog. When it comes to incidents of the distant past, some of us may want to overlook them, dismissing them by simply saying “That was so long ago, just let it go.” However, when the events in question are painful or leave strong, lasting impressions, it may not be so easy to turn a blind eye. Given the circumstances under which Maria fled Vienna and what happened to her family subsequently, both at the hands of the Nazis during the war and Austrian authorities afterward, it’s understandable how she would want to seek justice.  This is especially true when legal mechanisms, such as the art restitution program, and knowledgeable allies, such as Randy Schoenberg and Hubertus Czernin, become available. The desire to see matters set right is thus energized, a phenomenon that quickly takes on spirited momentum, even a life of its own. Such suitable conditions typically emerge when we focus our attention on achieving desired ends through the conscious creation process, the philosophy that maintains we manifest our existence through the power of our thoughts, beliefs and intents. In this instance, Maria and her colleagues have done exactly that. They sought justice and then materialized the means to make it possible. In her younger days, Jewish refugee Maria Altmann (Tatiana Maslany, right) and her husband, Fritz (Max Irons, left), flee their native Vienna in the days leading up to World War II with the advance of Nazi occupying forces in the inspiring new historical drama, “Woman in Gold.” Photo courtesy of The Weinstein Company. But, in this scenario, objectives other than exacting justice were involved, some of which had ramifications extending beyond the issue at hand. For Randy, for example, taking on Maria’s case was crucial to finding his purpose, a career that has since focused on the legal aspects of art-related matters, something that was not part of his career previously. However, at the time he agreed to pursue this matter, Randy did so somewhat hesitantly, partly because he knew little about the subject and partly because he was just starting a new job under a boss (Charles Dance) who wasn’t especially enthusiastic or encouraging about the idea. Through this experience, though, coupled with the impact of his own emotional connection to the circumstances, Randy found a new vocation, as well as a new calling in life, something that conscious creation practitioners call value fulfillment. Maria and Hubertus discovered their own brands of value fulfillment, too. For both of them, seeking restitution was about more than just recovering a wrongfully obtained piece of artwork; it was also about drawing attention to a cause that had affected many families during and after the war and that had previously received comparatively little fanfare. Their efforts helped raise the profile of this issue, making it possible for others similarly situated to seek reparation. In fleshing out their new callings, Maria, Randy and Hubertus all needed to develop certain aspects of their conscious creation skills. For starters, they discovered the importance of listening to (and acting upon) their intuition, one of the elements that contributes to the beliefs we form to create our respective realities. Intuition is something many of us readily dismiss, because it lacks “logic,” the quality we typically use to characterize the overarching nature of our existence. Faced with staggering odds stacked against them, this trio of champions might have easily abandoned their cause before they ever got started if they had followed a purely “rational” approach. But, instead, they chose to acknowledge their intuitional impulses in convincing themselves what was truly achievable, a skill that invariably helped make them more effective conscious creators. Attorney Randy Schoenberg (Ryan Reynolds, right) faces some tough career choices in determining how to provide for his pregnant wife, Pam (Katie Holmes, left), and young family in “Woman in Gold.” Photo courtesy of The Weinstein Company. One of the benefits that comes from being a more effective conscious creator is the ability to envision a wider range of probabilities for materialization. Thinking more broadly allows ideas to emerge that might not have been considered previously, and that was the case in the team’s legal strategy. By employing a never-before-tried approach, they explored new territory in the world of jurisprudence, testing the waters of possibility to see if it could yield the desired result. If successful, not only would it benefit their cause, but it would also set a precedent that others could draw upon in future litigation, a creation that had wider implications – and the potential to help others facing similar circumstances at a later time. Facing fears was another skill that the protagonists honed through this creative experience. Randy, for example, needed to face the fear of taking on a risky cause at a time when his career was in a precarious position, not an easy decision for a young father whose wife (Katie Holmes) was expecting their second child. Meanwhile, Maria had to address her fear of returning to Vienna, something she vowed she would never do after her perilous flight to freedom. And, as for Hubertus, he needed to become involved to exorcise the demons of his family’s past, setting matters to right for the honor of his future relations and his country. These issues were challenging for each of them, but they rose to the occasion, thanks to the development and deployment of beliefs that would allow them to do so. 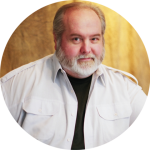 Through their efforts, Randy, Maria and Hubertus succeeded in exposing the truth, an undertaking they pursued with integrity, a crucial consideration for bringing desired results into being. This is essential for achieving satisfaction and fulfillment in our conscious creation initiatives, and it’s obvious that these crusaders were wholly earnest in their approach. They clearly set an example for all of us to follow. 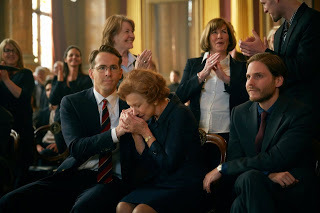 Attorney Randy Schoenberg (Ryan Reynolds, left) and refugee-turned-activist Maria Altmann (Helen Mirren, center), aided by investigative journalist Hubertus Czernin (Daniel Brühl, right), take on the Austrian government to seek restitution for an improperly acquired work of art in the inspiring new docudrama, “Woman in Gold.” Photo courtesy of The Weinstein Company. 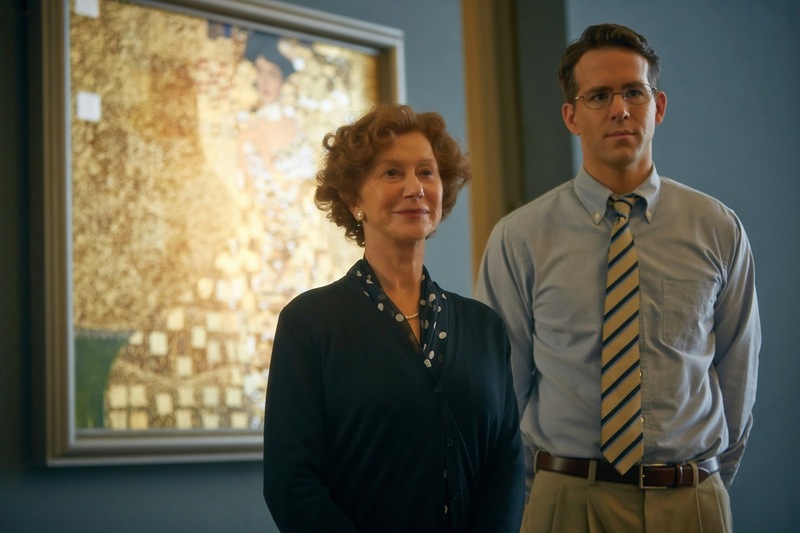 “Woman in Gold” tells its story capably, deftly mixing present-day and flashback sequences, with another great performance by Mirren and a surprisingly good (though sometimes uneven) portrayal by Reynolds. The film’s production values (especially in the historical sequences) are top-notch, and its cinematography and soundtrack lend themselves well to the finished product. The picture also does a great job of outlining and explaining some rather complicated legal concepts, not an easy feat to pull off. 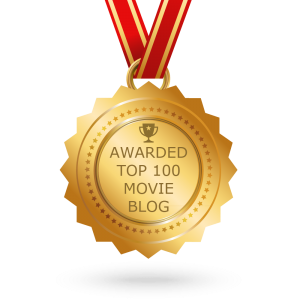 However, despite these many strengths, the movie has come under a fair share of criticism. Some have contended that its approach is overly sentimental, perhaps even Pollyanna. Others have said that its underdog-against-the-odds narrative featuring an unlikely dynamic duo is rather formulaic and unoriginal, mimicking the story lines found in such films as “Philomena” (2013) and “Erin Brockovich” (2000). And others still have claimed (and, admittedly, not entirely without merit) that the script is too heavy-handed and self-righteous at times. However, this is a story that needs to be told, and, given its subject matter, there’s not a lot of room for subtlety, something for which the filmmakers should have no need to apologize. The picture sheds light on this topic more effectively than others that have attempted to do so, such as the highly touted but ultimately disappointing comedy-drama, “The Monuments Men” (2014). Finding our way in the world may take us down some unfamiliar (and seemingly unlikely) paths. Yet, if we follow the impulses leading us in those directions, we might find ourselves reaching degrees of fulfillment never before considered. In even greater terms, however, we also could discover that our creations serve a greater purpose, one that benefits both us and those around us in the true spirit of value fulfillment. And that would be work of art if there ever were one.